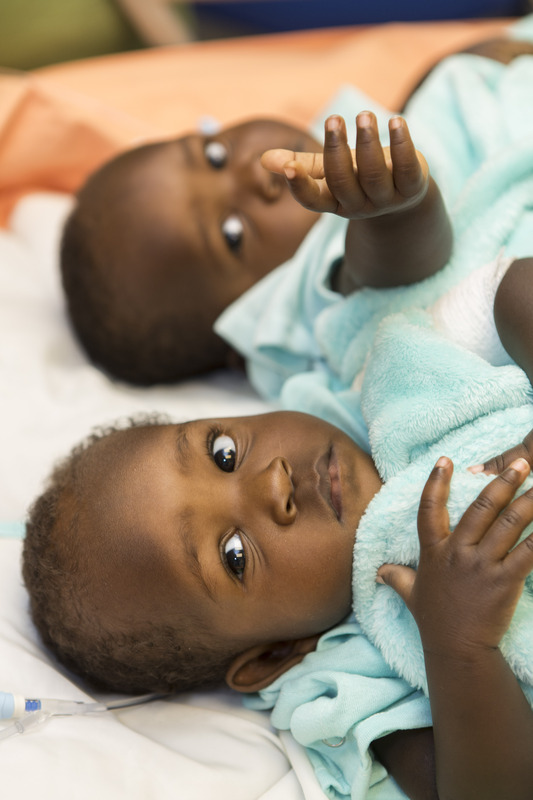 Acen (left) and Apio (right) Akello arrived at Nationwide Children`s Hospital conjoined as one and were separated during a 16-hour surgery on Sept. 3, 2015. The tissue expanders were placed in between them underneath their skin to prepare for separation. 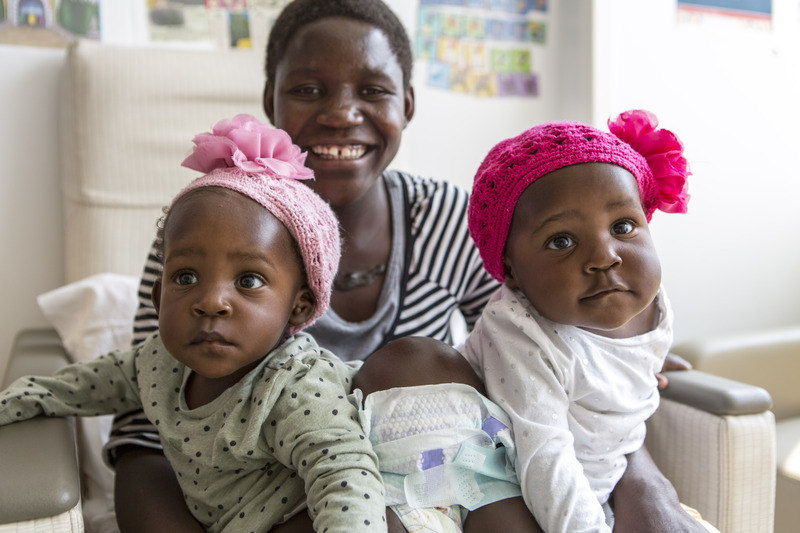 The girls are pictured here in their hospital room with their mother, Ester Akello. Acen and Apio Akello, eleven-month-old twin girls born joined at the pelvic and hip region, are recovering after separation surgery Thursday, Sept. 3, at Nationwide Children’s Hospital. A surgical team of more than 30 specialists from pediatric surgery, plastic surgery, colorectal surgery, neurosurgery, anesthesiology and nursing performed the operation, delicately separating the girls’ spines, muscle and tissue. The surgery began at 7:30 a.m. on Thursday and lasted 16 hours. 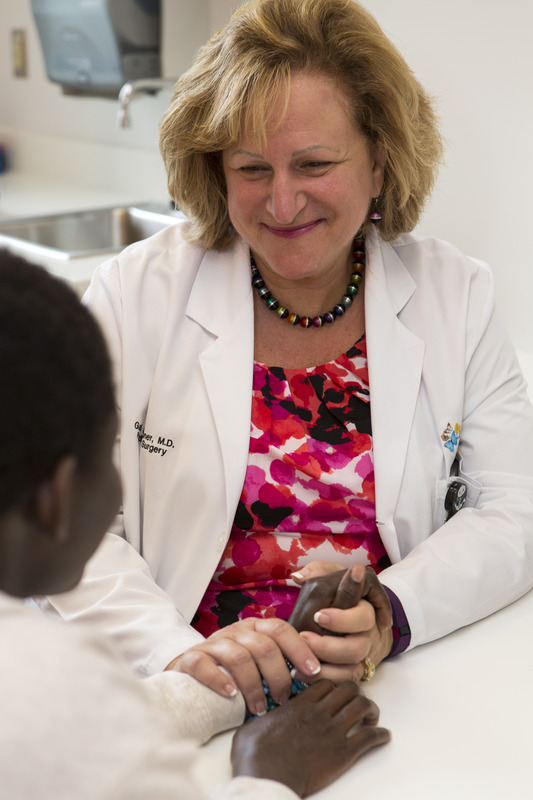 Gail Besner, MD, chief of pediatric surgery, was the surgeon who separated the twins and delivered the news to Ester, the girls’ mother. Other lead surgeons include Dr. Richard Kirschner, Dr. Marc Levitt, Dr. Rajan Thakkar, Dr. Richard Wood, Dr. Gregory Pearson, and Dr. Lance Governale. “The girls will continue to receive treatment at this time, and I can’t wait to watch them grow. My hope is that they will be able to sit up on their own, walk and play like any other child,” said Dr. Besner. 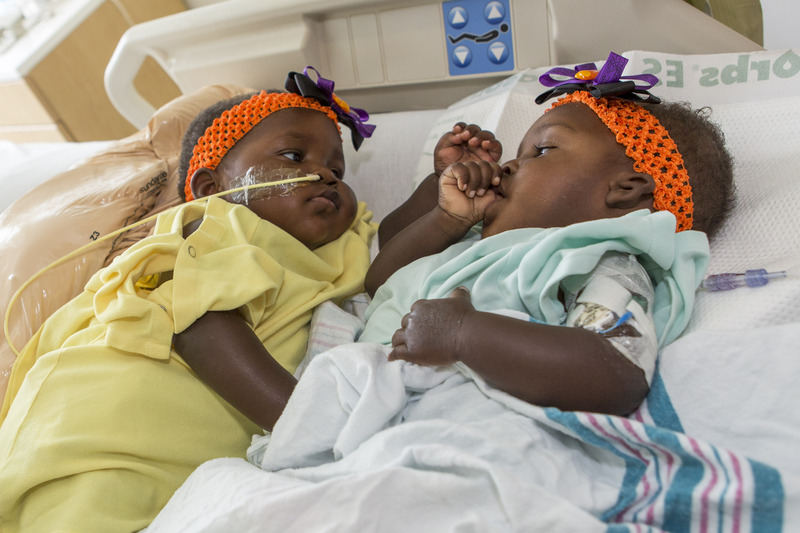 Acen (bottom) and Apio (top) Akello the morning before their separation surgery at Nationwide Children`s Hospital on Sept. 3, 2015. 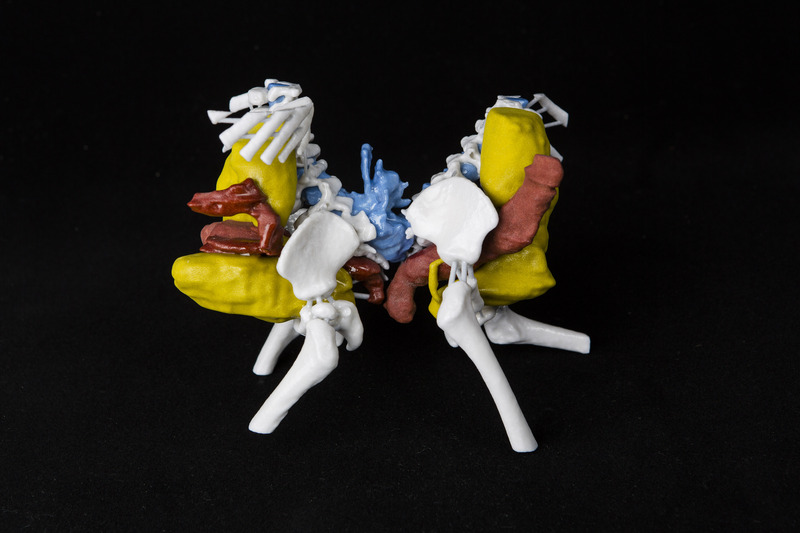 Pre-operative 3D modeling was an innovative part of how surgeons at Nationwide Children`s Hospital prepared for the separation surgery of twin girls who had part of their spines, muscle and tissue separated. 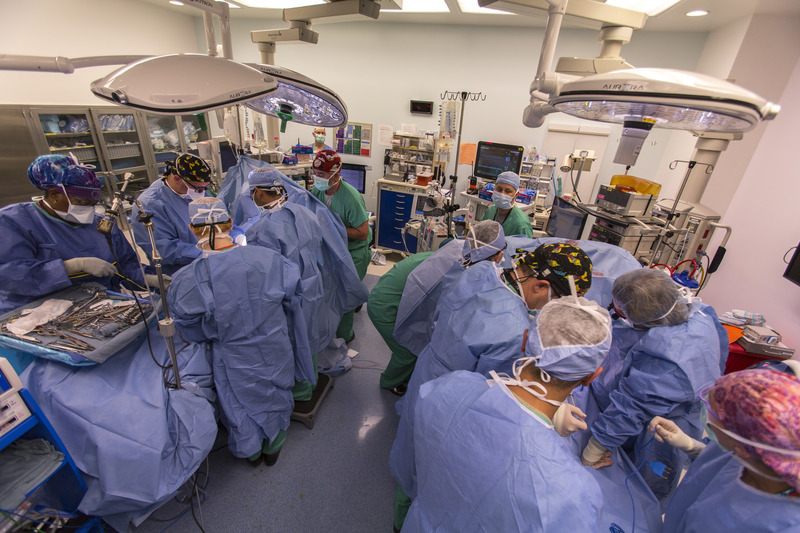 Dr. Jeffrey R. Leonard, chief of neurosurgery at Nationwide Children`s and neurosurgeon, Dr. Lance Governale, assisted each other to delicately separate the intertwined spinal cords of the conjoined twins. 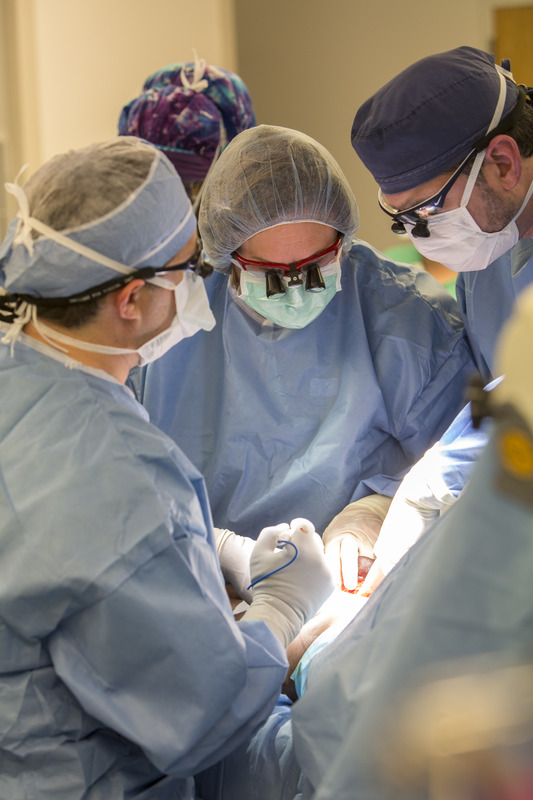 Carefully dividing the soft tissue, Dr. Gail Besner of Nationwide Children`s Hospital separates 11-month-old twin girls who had their spines, muscles and tissue separated during at 16-hour surgery. Twin girls were on two separate tables immediately after their separation surgery, but the surgery was still hours from being completed. 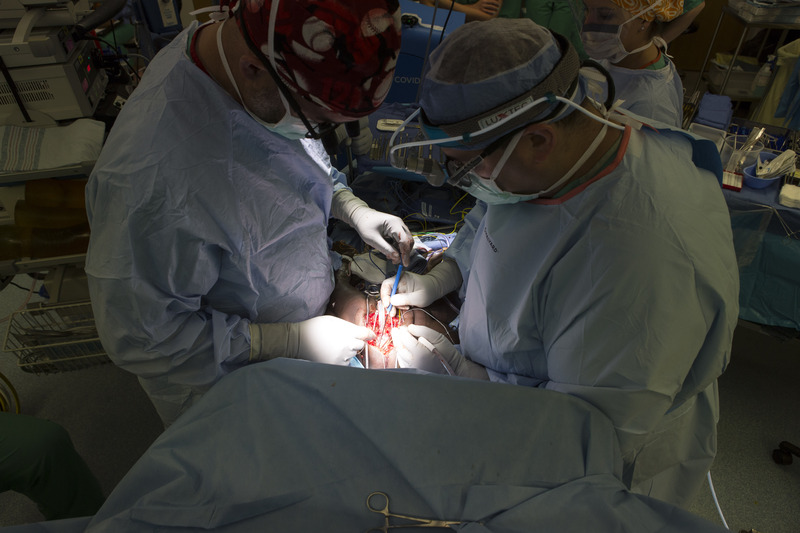 The team from Nationwide Children`s Hospital that was formerly huddled around one operating table now huddled around two, and additional nurses and anesthesiologists were brought in to assist in the reconstruction. 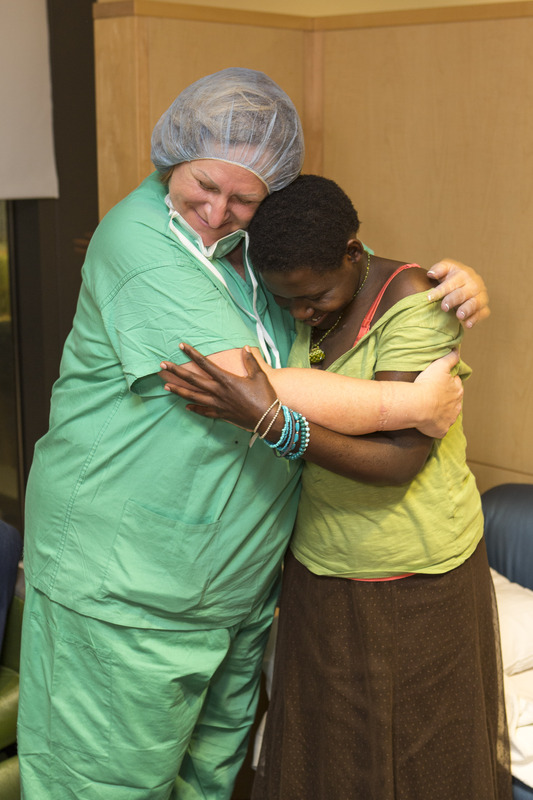 Dr. Gail Besner of Nationwide Children`s Hospital took a brief moment away from operating to tell Ester Akello that her children were no longer conjoined. Dr. Gail Besner assures Ester Akello that her twins girls are doing well the morning after their separation surgery as they recover in the Intensive Care Unit at Nationwide Children`s Hospital. Once conjoined, Acen and Apio see their twin for their first time since their separation. The girls were happy to see each other as they heal from surgery at Nationwide Children`s Hospital.